Hi friends… Happy Earth Day! In 1991, I moved to New Hampshire and had a phase of my life I often refer to as my “Thoreau Days.” I lived close to the land, explored the White Mountains, planted a huge herb garden, and studied herbs voraciously- their medicinal properties, their usage in different cultures, their spiritual qualities. And I read voraciously, too, living in the woods, among the pristine lakes like Squam and Winnipesaukee. 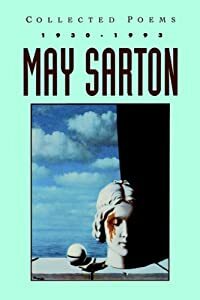 One of the books that came into my life was A Journal of Solitude by May Sarton, which I devoured, and her splendid poetic prose lead me to her poetry. When was the last time you planted a garden? Have you ever moved spontaneously, without many plans? Do you know the spiritual properties of any herb?